In recognition of the great sales performance turned by Fiat Automóveis during the last year is the the Brazilian arm of Fiat Group Automobiles Spa has claimed a double first place of the traditional and prestigious Lótus prize, the two wins coming in two of the most important categories: "Light Commercial Vehicle of the Year" and "Van of the Year", in the 2007 edition. The highly-regarded Lótus prize has been offered each year by the well regarded Frota & Cia magazine, ever since it was introduced in 1993. The prizes are based on the number of sales achieved in the previous year, and the Fiat Fiorino van thus won the "Light Commercial Vehicle of the Year" award for an amazing twelfth consecutive time, thanks to the 12,734 units which were commercialised during 2006. The B-segment Uno-based Fiorino van has been an important niche model in its light commercial vehicle segment (LCV) since its introduction. Its continuing role has resulted in it being commercialised with the 1.0-litre FLEX "dual fuel" engine (which can use gasoline of alcohol either in pure of mix to any ratio) at the end of last year. With "dual fuel" engines now dominating the Brazilian new car market, the Fiorino van is expected to hold its position this year. The Fiat Fiorino van won the Lótus "Light Commercial Vehicle of the Year" award for an amazing twelfth consecutive time, thanks to the 12,734 units which were commercialised during 2006. The Fiat Ducato has been awarded the Lótus "Van of the Year" award in Brazil after achieving sales of 2,918 units last year. 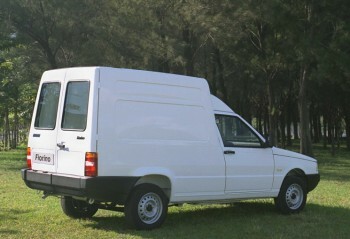 The Fiat Ducato van was the second Brazilian LCV model to scoop the Lótus prize, and it was also the best seller in its market segment on this Latin American market during 2006. 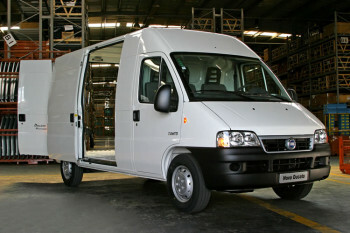 It won the "Van of the Year" awards after achieving sales of 2,918 units last year. In a further boost to the popular LCV range, since March all the commercial vehicles that are sold by Fiat Automóveis in Brazil have powered assisted steering available as an option. "The Lótus prize is the recognition of the effort and the good work in the segment of commercial vehicles carried out by Fiat and its board, structured to offer the best levels of services demanded by the marker," said Lélio Branches, the Commercial Director of Fiat Automóveis in Brazil.